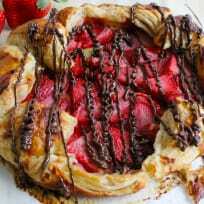 This Puff Pastry Chocolate Strawberry Galette is so easy to make! It takes just a few ingredients and you’re on the way to Valentine’s Day dessert perfection. Chocolate strawberry milkshakes are cheery and fun for Valentine’s Day. No baking required, they’re a wonderful treat! Chocolate covered strawberry tarts are for celebrating! Valentine’s Day, Tuesday, you name it – that’s what they’re for. Homemade strawberry cordials are the perfect way to say “I love you!” Surprise someone you love with this special homemade treat. Homemade hot cocoa mix is the perfect easy recipe for anyone that loves chocolate. 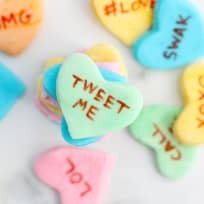 Make a big batch to give your sweetheart! 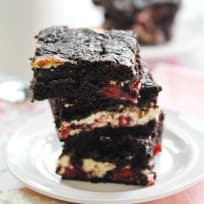 These chocolate raspberry magic bars are a little slice of heaven! 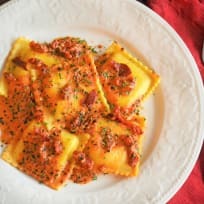 They are really easy to make, and the variety of flavors and textures is irresistible.